"Healthy people don't need a doctor - sick people do. Know this, I want you to show mercy ... for I have come to call not those who think they are righteous, but those who know they are sinners" (Matthew 9.11-13). "Tax collectors and other notorious sinners often came to Jesus" (Luke 15.1) because they knew Jesus was a "come as you are" kind of guy: one who loves others as they are, while calling them to live lives free of all that hinders and isolates. That is our vision. "telling people everywhere what God has done for them, so that they will believe and obey Jesus, bringing glory to his name" (Romans 1.5). Join us in glorifying Jesus, knowing that it is okay: you, too, can come as you are! Childcare, a children's sermon and children's church are all available at our 10:30 AM service. More about our youth here. More about The Alpha Course here. Interested in a handmade quilt? LWM take pride in their quilts made with love. $40 with proceeds going to Missions. Whether you are involved in Alpha or a regular 10:30 AM church service, we have a place where your kids can be energetic and have fun. 2019 VBS — New Look, New Location! Come to VBS training this Saturday at lrondale Church, Noon to 4:00 pm. 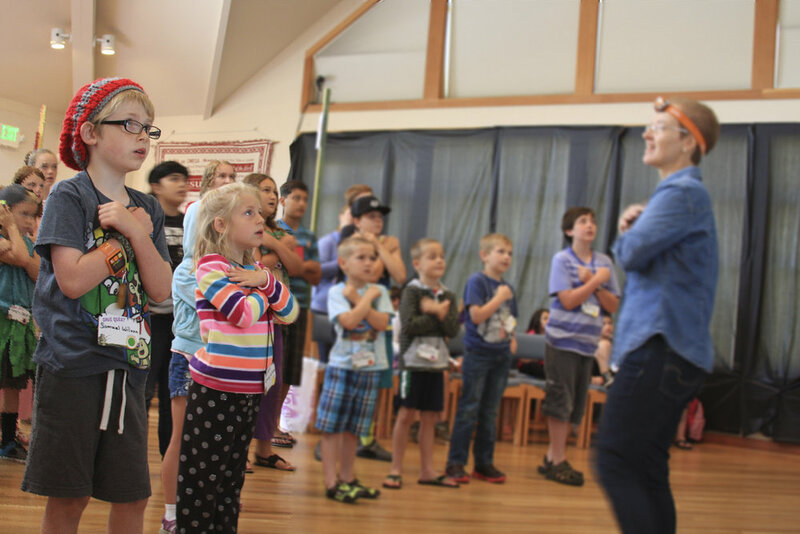 This year's vacation bible school will take place during the last few week or two of July. Helpers are needed. For more information contact Amber Benner 360-302-1174, or Natalia Collier 360-774-2966. The next step in living life together. Meet together with other Christians, reading the Bible together and growing connected like family. Fill out the space provided below or call us [360.385.6977], and we will get back to you. We will try to respond as promptly as possible. Wanting to mail something directly? Don't forget to include PO Box 70!